 At Seattle Central College’s Seattle Culinary Academy you will develop your skills in a stunning, state-of-the-art facility and under the mentorship of nationally recognized chef instructors. Have you dreamed of becoming a chef or working in a food-related industry? Our Culinary Arts programs feature classical and modern techniques that cover a wide range of styles from international cuisine to Northwest specialties. Want to become a professional pastry chef? Our Specialty Desserts & Breads programs will give you comprehensive hands-on and step-by-step training in pastry, chocolate and cheese production. Cooking is a blend of art, science and business – and there are some things that just can’t be taught in a classroom. As a Seattle Culinary Academy student, you'll get to showcase your skills and gain practical experience in a real culinary environment, thanks to our student-run restaurants and pastry case. Seattle Culinary Academy is fully accredited by the American Culinary Federation (ACF). As one of only three schools in Washington state that have received "exemplary status", we meet the highest of educational standards recognized by the American Culinary Federation Education Foundation Accrediting Commission (ACFEFAC). Earning a certificate or degree from a culinary program certified by the ACF provides 25 points toward your personal ACF certification. ACF certification is the only comprehensive certification program for chefs in the United States. For more information about ACF accreditation and certification, visit the federation's homepage at acfchefs.org.